Technology expert suggests building a service-only website to boost fixed-ops income. 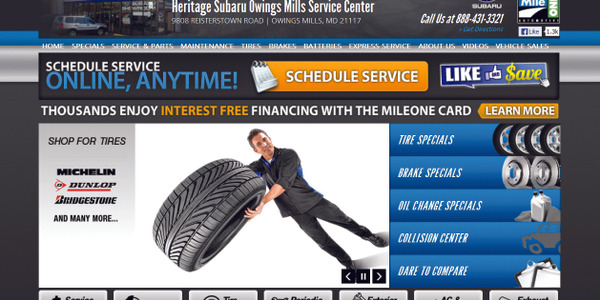 Ali Amerrizvani offers three critical items a dealer must get right in 2013 to succeed online. The magazine's tech expert identifies three keys to driving sales through social media in 2013. Ali Amirrezvani uses the magazine's 100th issue to reflect on the last decade of digital marketing in the automotive retail arena. Are You Considering F&I in Your Digital Marketing Decisions? Ali Amirrezvani, president and CEO of DealerOn, discusses changes dealers can make to their digital marketing strategy to include an under-served segment online, F&I. Expert, Ali Amirrezvani of DealerOn, discusses how to use digital marketing strategies to effectively manage and accelerate the turn rate of your inventory. Ali teaches you how to harness the power of your website to help move both your new and old inventory. Technology expert Ali Amirrezvani offers a number of tips for effectively marketing your used inventory online. Technology expert Ali Amirrezvani looks at the rising popularity of mobile devices and smartphones and the impact of this trend on dealerships. Technology expert Ali Amirrezvani explains why dealers need to incorporate paid search into their advertising budget.